Overview: Please use this document for reference when creating and editing the content within your announcement. Important note: When editing the content in the Announcement App it is important to remember to only have eight items in your content group. When you would like to add new announcements you must either add a new announcement item and delete another or simply edit an existing announcement item. 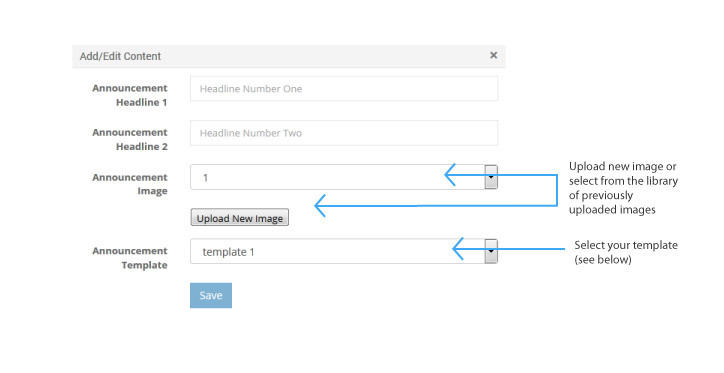 Announcement App Reference Guide: The image below shows the different templates and the suggested Announcement Headline guidelines.